Ryan Scott Oliver is the mind behind the brilliant, must-own song cycle 35mm: A Musical Exhibition (shout-out to our bop "The Party Goes With You"), as well as off-Broadway's Jasper in Deadland and the southern Gothic thriller We Foxes. This February, RSO releases his latest album, the star-studded concept recording of his new musical Three Points of Contact. 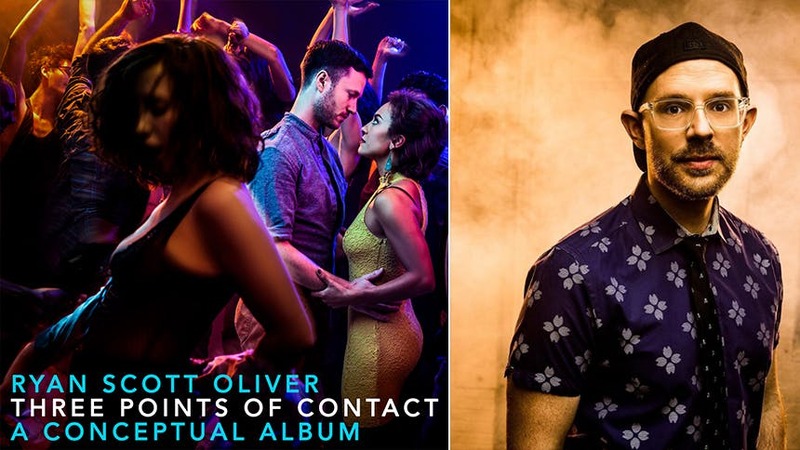 On April 30, Ryan Scott Oliver, Ben Fankhauser, Britney Coleman, Katie Rose Clarke, Eric William Morris, Blaine Krauss & more bring the provocative new pop-rock musical to life at Feinstein's/54 Below with Three Points of Contact in concert. Take an early listen to the exciting new score below as Tony nominee Jenn Colella performs the catchy AF track "Girl in Camouflage".